Councillor and Mrs D. O. Hale pictured judging the contestants of the Fancy Dress party held at Hertford Town Football Club. 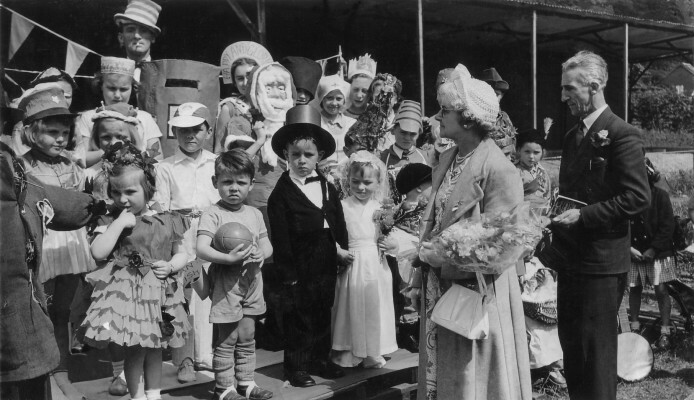 All part of the 1953 Queen Elizebeth ll Coronation Celebrations. This page was added on 01/03/2011.